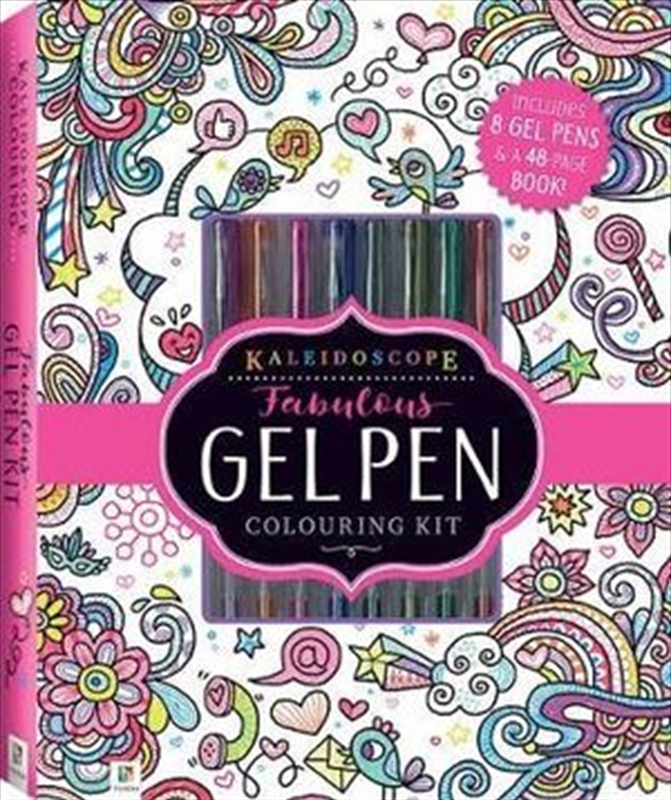 This Fabulous Gel Pen Kit is an enthralling visual experience for all ages. Use the 8 vivid colourful gen pens included in this kit to design intricate like-work patterns embellishments decorations and more and make the pictures jump off the page! The book contains over 20 exquisite images that feature dynamic designs gorgeous flowers and so much more all just waiting to mesmerise and delight. The tear-out pages also allow you to put your creations on display and brighten your day - so get colouring! Also available Unicorns And More Pen Kit.